Wouldn't it be the dream to live in a luxurious, high-end condo on the waterfront and game to your speed heart's content using an internet that is going to be blisteringly fast? Well, that dream can become a reality if you know where to look. In fact, when it comes to gamers and Toronto real estate, you'll be able to find all of your needs packed into one little neat package with these waterfront properties waiting for you. Maybe you've never considered the idea of basing your real estate hunt on your gaming needs, but we have. We understand that you're looking for the best spot to live and, most importantly, the best internet speed to live up to your full potential gamer needs and desires. These waterfront condos are the ideal options that will give you the control and the comfort that you want and need in your selection, from detail to detail. These condos are the community’s first private sector development that has already launched and is now in the process of leasing and selling its units. The residents of these unique condos have already moved into the first and second phase of the award winning development created by Urban Capital in early 2014. RC3 is now underway and its residents cannot wait until it is also complete. Lastly, RC4, which is the final phase of the condos, will be released for sale shortly. 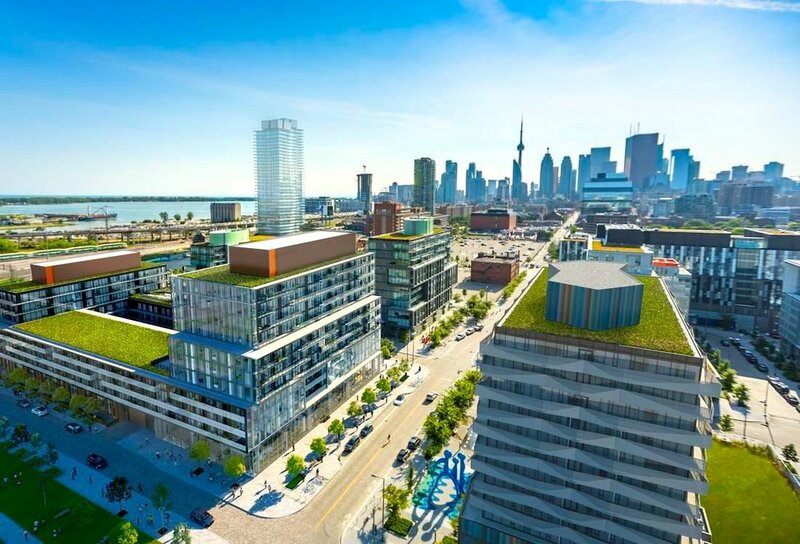 These condos are located just north of Queens Quay and next to Sherbourne Common. The development of Monde includes impressive views of Toronto’s skyline as well as the lake. These unique condos were developed by Great Gulf and designed by the reowned architect Moshe Safdie. In addition, this was the first private sector development announced for the East Bayfront, so it’s quite special to say the least. These condos are the largest development in East Bayfront as it is comprised of approximately 5.6 hectares (13 acres) and has an extensive location with frontage on Lake Ontario. These condos were developed by Hines with a partnership with Tridel. Further, Aqualuna Condos have two million square feet of residential and commercial development space. So, whether you are looking for a home or to expand your business, these condos may be the perfect condos for you. These condos are going to be the new urban waterfront district which will provide employment, residences, retail use, vibrant and cultural public areas as well as beautiful architecture. The moment you've been waiting for...the actual speed you'll be able to expect when residing in one of our condos is: unlimited 500 megabit per second internet. Yes, you read that correctly. It will also be coming to you via fibre optic cables so that you can get it even faster and delivered right to your gaming console of choice. When you reside in the waterfront communities, you'll be introducing yourself to a vista of great proportions. We understand that just because you would most likely want to be gaming, most, if not all of the time, that doesn't mean that you don't want an inspiring view while gaming. You can easily gaze into the horizon all while still having your games firmly in your grasp. We promise! Real estate doesn't have to be all about location, but it certainly doesn't hurt when you're looking at keeping your offline life up to date as well. With these stunning condos, you'll be able to be in a prime area of the city and exactly where you want to be so that both aspects of your life, gaming and living life to the fullest, will both be able to flourish with any one of these condos as your headquarters. Choosing a condo to call home is all about finding the attributes that are important to you, and if you're an avid gamer, we completely understand that internet speed is a vital part of that. That's why we've compiled a list of gorgeous condos to consider which include the best resources possible to give you that 500 megabit per second internet on demand. So, game to your heart's content all while still enjoying Toronto's inspiring waterfront condos and its convenient location to the heart of the city. Don't settle for anything less than the best when it comes to your gaming and real estate needs. At Envision Realty Inc. Brokerage, we’re committed to helping you find the perfect condo that takes all of your preferences into consideration without you needing to ask. Any one of these condos may become the ideal home that you’ve always dreamed of, so go on and grab it before it's gone!